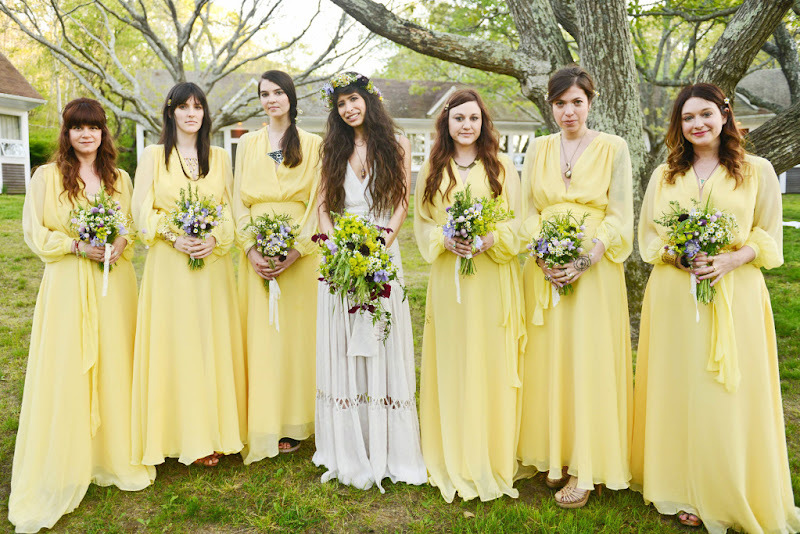 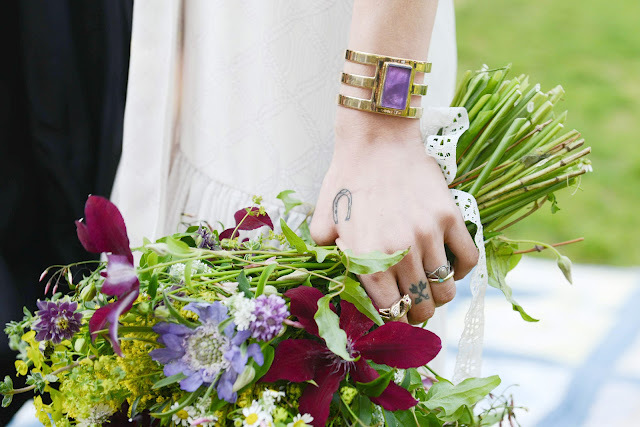 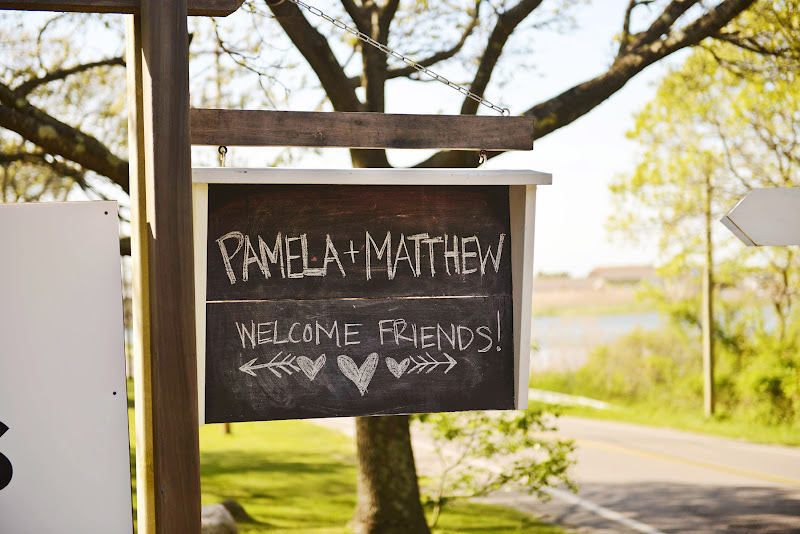 One of my favourite jewelry designer, Pamela Love and Matthew Nelson's wedding. 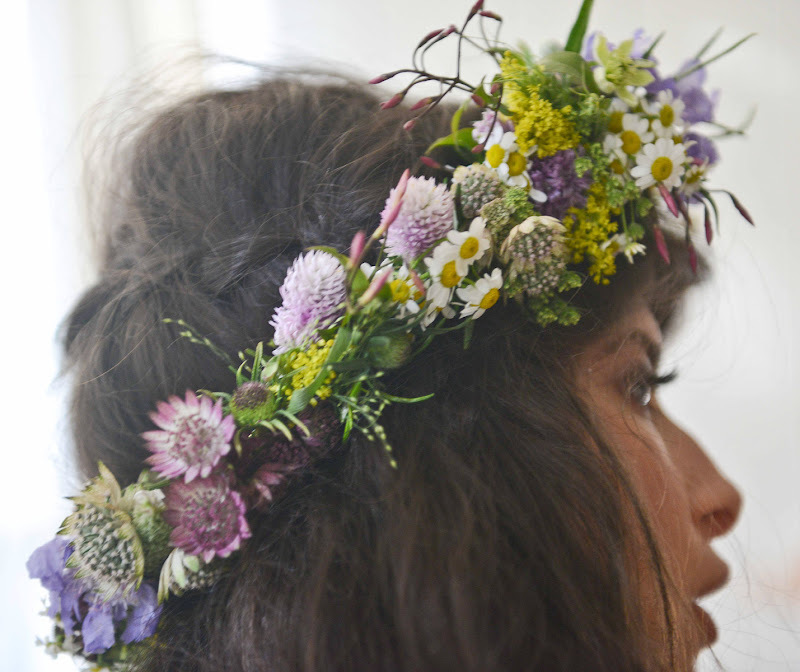 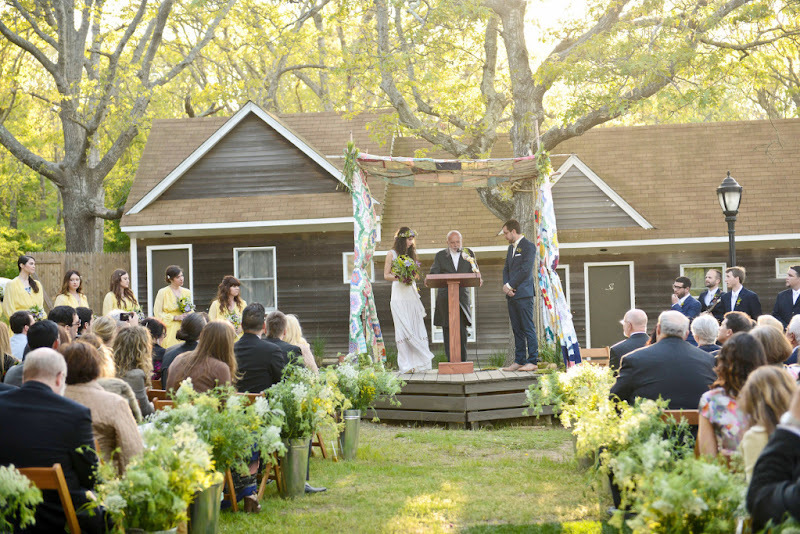 If I can think of a summer garden wedding, this would be it! 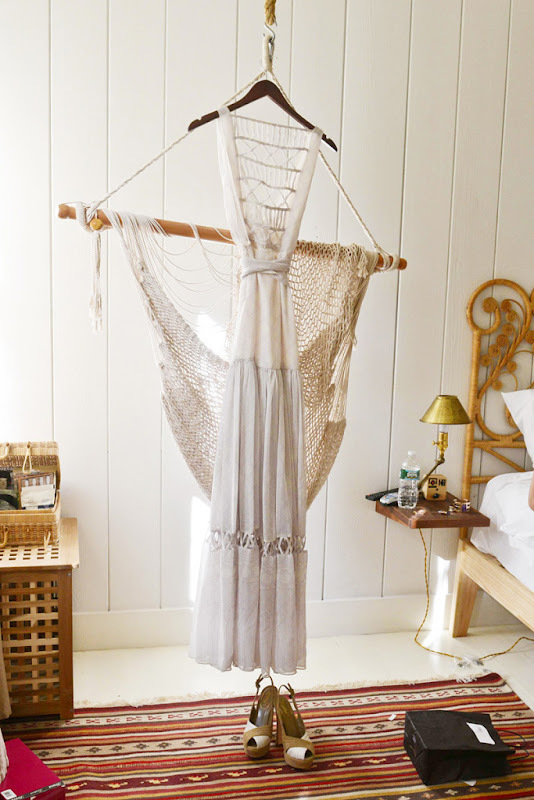 Let's not forget to mention that the open lattice back chiffon dress, by her dear friend Mara Hoffman, suits her bohemian style to the tee.